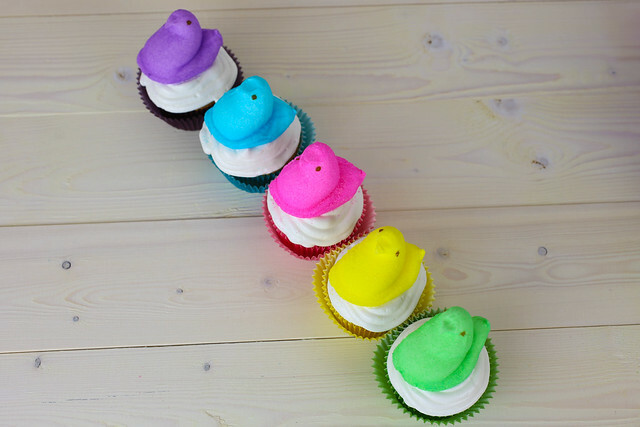 The trick is to use solid colored cupcake liners to match the Peeps. 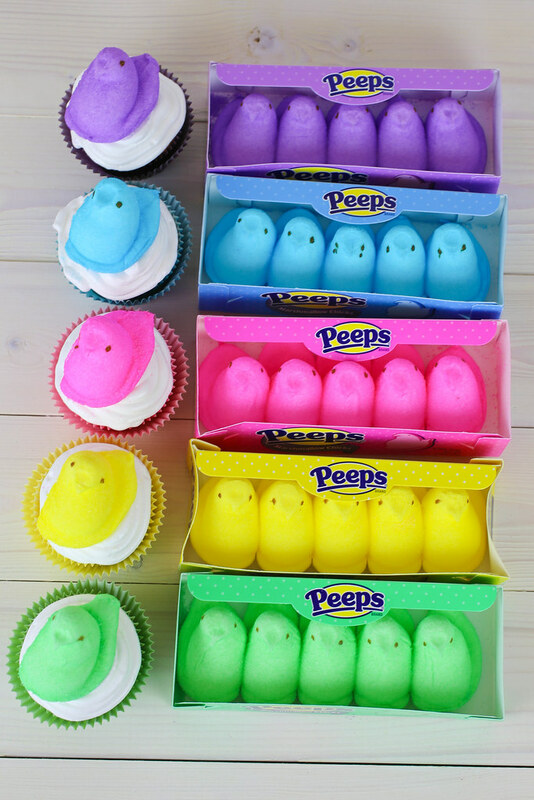 I was able to find purple, pink, blue, green and yellow Peeps, so I bought cupcake liners to match. Go ahead and make your cupcakes in the liners you bought. 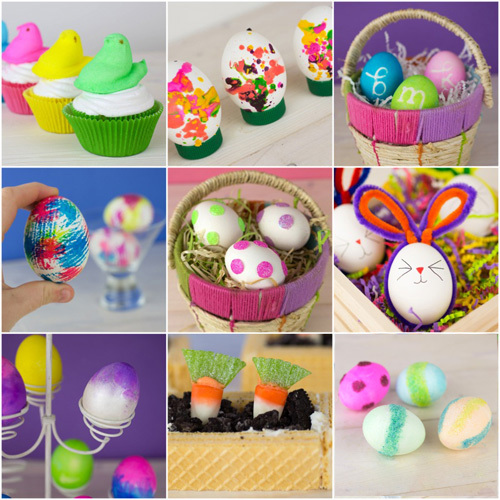 I used a box mix to make Spring Funfetti cupcakes, but you could also use these Easy Vanilla Cupcakes if you want something homemade. You’ll also need some frosting. This is what makes these cupcakes special. In the bowl of a stand mixer, whip the egg whites until soft peaks form. In a medium-sized saucepan, stir together the sugar, water and cream of tartar. Then bring the mixture to boil without stirring (so it doesn’t crystalize). Boil for about five minutes, until thick, clear bubbles form (should be about 245 degrees F). Once the sugar mixture is ready, set a timer for 7 minutes and slowly add to the egg whites. Then beat on high for 7 minutes. During the last minute, add the vanilla. The frosting will be white and fluffy when done. Using a round frosting tip, pipe the marshmallow frosting on top of the prepared cupcakes. 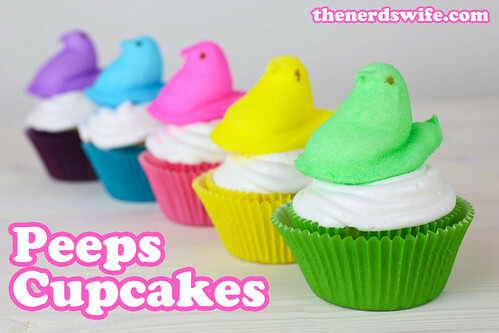 Then add a matching Peep to the top.